At California Sheet Metal, we pride ourselves in offering the highest quality design, engineering, prototyping and manufacturing of various laminate, wood & metal cabinets & enclosures. 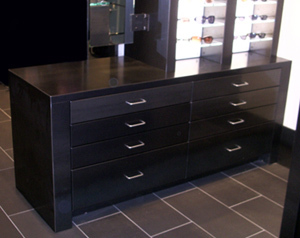 Our custom cabinets can be found in retail stores, commercial kitchens as well as residential kitchens and storage areas. Our experienced CAD designer offers the finest in custom cabinet design services. Our CAD software is linked to our CNC to provide the finest quality and craftsmanship. As a premier precision sheet metal fabricator, California Sheet Metal provides quality custom enclosures and cabinets in any size and shape. No project is too complicated. 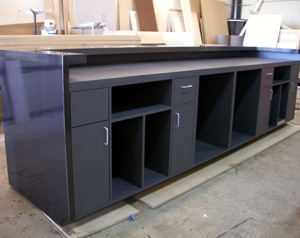 When you can’t find what you’re looking for elsewhere, let California Sheet Metal custom build it for you. From raw metal to finished product, we have the in-house capabilities to meet and exceed almost any requirements.